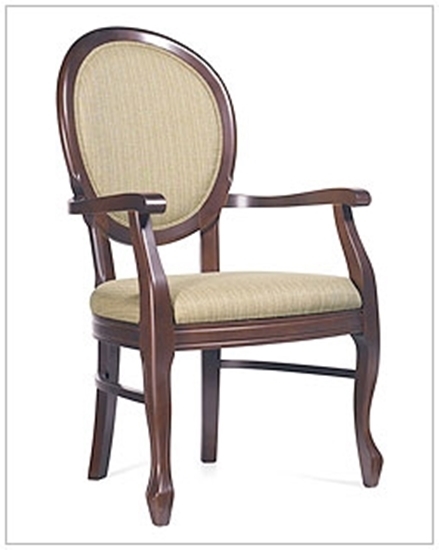 The Birmingham, from GLOBALcare healthcare furniture, features an outstanding carved wood design on the chair back. 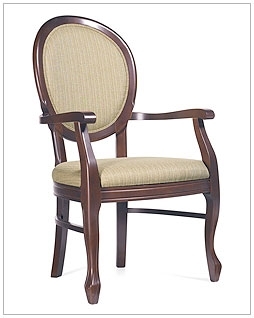 A good choice for dining rooms, medical office patient rooms or public lounges. Easy to clean, this chair features anti-microbial protection and moisture resistant fabric. Soft curved arm with grip extension.